To benefit pilot dogs inc.
since the event began in 1992, we have raised over $104,900! Refreshments and prizes provided by the sponsors will follow, including a prize for the most money donated! 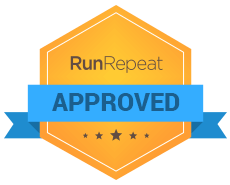 We received the RunRepeat Approved Award recognizing us as a dog-friendly event that gives back to the community while being really fun and unique and for our efforts to help empower others by raising money to help provide service dogs to those in need.